These toys are designed for every age group - Puppy, Junior, Adult, Senior dogs. Depending on the individual characteristics of the toy, PET NOVA helps in the study of retrieval, massage and cleaning of the dogs gums, or are meant for fun with snacks inside. What do the logos on the PET NOVA label mean? They are there to help you provide the ideal DOG LIFE STYLE for your dog. FUN LIFE - The toy provides a good interaction for both the dog and its owner to play together, perfect for younger kids or any keen dog lover. LONG LIFE - Extended long life of this toy, thanks to the use of the best materials, this toy will last a long time for your dog to play and chew. SNACK LIFE - A fun toy, that allow the owner to place inside or amongst the toys groves, doggy snacks, that will stimulate your pets taste sensors and make them even more keen to play with you and run around. DENTAL - These toys are important for the development of your dogs teeth, by chewing on these toys your dog will have healthier gums. SUPER DENTAL - These toys are important for the development of your dogs teeth, by chewing on these toys your dog will have healthier gums. The Super dental range are EXTRA care for the most keen dog lovers. BEEF AROMA - The toys has a scent or aroma of beef, this will stimulate your dog with the strong scent doys love to play with. MINT AROMA - The toys has a scent or aroma of mint, this will stimulate your dog with the strong scent doys love to play with. 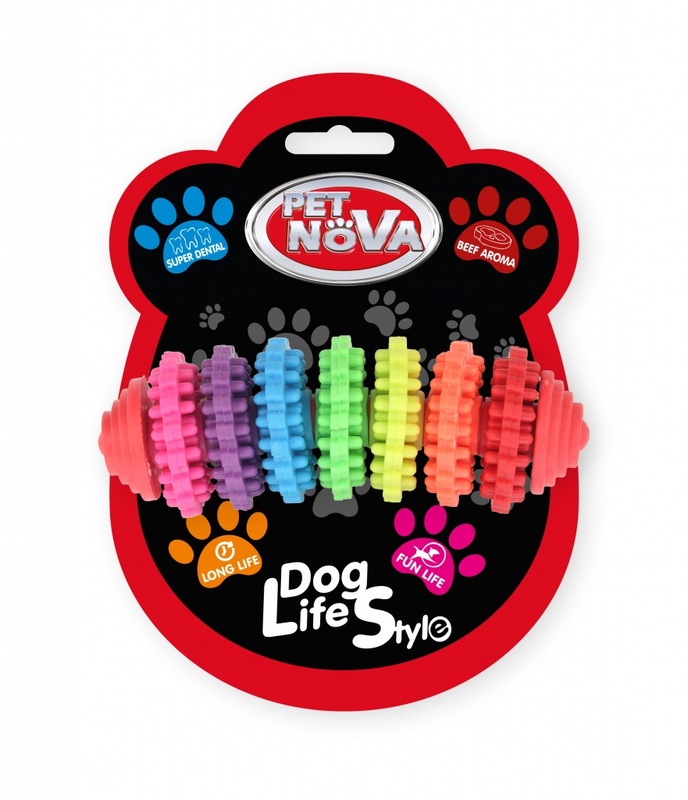 Every dog toy in the PET NOVA range has between 2 to 4 features mentioned above, so please check before your purchase, what features in the DOG LIFE STYLE range comes with your new PET NOVA toy. Warning only original toys with PET NOVA tags/labels attached to the toy, that have a special UV varnish over the logo are real.